The United States is only the second country in world history where man has been able to receive God-given, Natural Rights – rights ‘they’ have tricked you into voluntarily trading for a citizenship status that amounts to slavery. Legally, you are merely an asset owned or pledged by the federal government as collateral toward our nation’s debt. In From Sovereign to Serf – Government by the Treachery and Deception of Words, author Roger Sayles not only inspires you to stand up for your God-given rights and against government tyranny; he gives you the means to do so. The United States is only the second country in world history where man has been able to receive God-given, Natural Rights – rights ‘they’ have tricked you into voluntarily trading for a citizenship status that amounts to slavery. Legally, you are merely an asset owned or pledged by the federal government as collateral toward our nation’s debt. 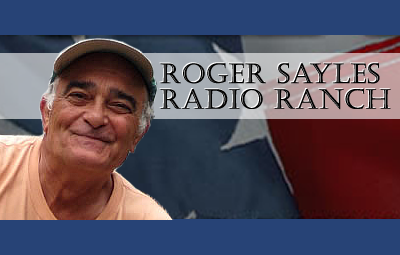 In From Sovereign to Serf – Government by the Treachery and Deception of Words, author Roger Sayles not only inspires you to stand up for your God-given rights and against government tyranny; he gives you the means to do so. From Sovereign to Serf documents the very techniques the U.S. Federal Government uses to convert your RIGHTS into PRIVILEGES and establish totalitarian control over us all. Masterfully clear and well documented, you will not find a better explanation of how we have evolved from a nation of sovereign citizens with God-given, constitutionally protected liberties into a rogue police state of corporate slaves subservient to a faceless 1%. From Sovereign to Serf is a very powerful book. Over 240 pages, it represents more than 70 years of exhaustive legal research, study and sacrifice by three great Americans — teachers and patriots — who have dedicated their adult lives to not only understanding the concepts explained in From Sovereign to Serf, but also to educating the public. Don’t let the title mislead you. 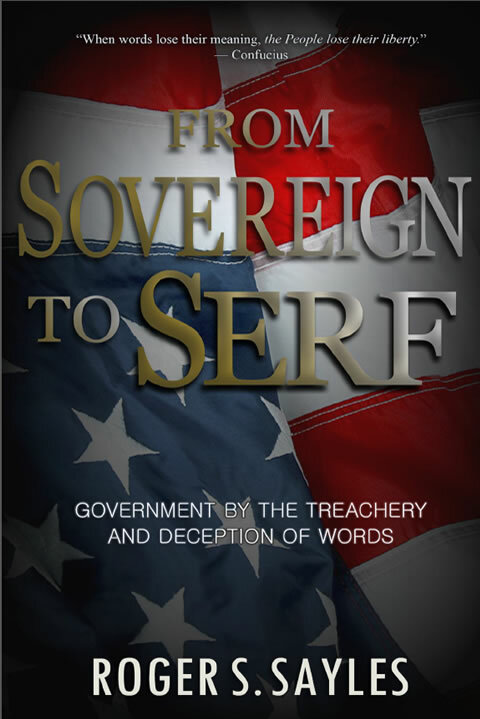 From Sovereign to Serf is not another book about the warmed-over sovereign citizen theories with which you may already be too well acquainted. John Benson and Glenn Ambort actually served 14 combined years in federal prison solely for teaching the truths revealed in this book. “U.S. National” is the original citizenship status established by our Forefathers. We have been tricked into ‘volunteering’ into the English/European version of literal slavery. They OWN your body – illegally. You are not required to provide the information requested on this form unless the form displays a current valid OMB number. We try to create forms and instructions that can be easily understood. Often this is difficult to do because our citizenship laws are very complex. A greater understatement has never been published by the United States federal government. The federal government will not explain our citizenship laws to you nor how they are applied.From Sovereign to Serf does though, in great detail. If you are a “Natural Law” person already, From Sovereign to Serf provides you with examples and facts to justify your positions when questioned and if you are unfamiliar with the concept, From Sovereign to Serf provides an in-depth course in the philosophy that would likely convince any skeptic. Roger Sayles has done a masterful job, in fact, of enumerating exactly where our rights come from, how they are interpreted legally and how they have been continually eroded since virtually the inception of the Republic — and certainly since the Fourteenth Amendment and subsequent legal deceptions. I have not seen a clearer, better-documented explanation of how a de facto federal government has tricked us out of our God-given, constitutionally protected liberties and into volunteering for a legal status of slavery. The proof, reproduced at the back of the book, is a legally executed and filed Affidavit of Citizenship that has been accepted and stands to this day UN-rebutted. Roger has used that affidavit on six different occasions, including to obtain a Florida photo ID, his social security retirement benefits and an official U.S. Passport (on three separate occasions,) all while claiming what he believes to be his rightful, sovereign status as a U.S. National. Not once has Roger Sayles’ affidavit of citizenship been questioned, refused or rebutted. 1. I am a freeman, born on the land of (State), of parents who were white, who were Citizen-Principals and whose parents time out of mind were and always had been white. As an hereditament I acquired directly the status of Citizen-Principal of said state sharing equally in its sovereignty. Slaughterhouse Cases, 83 U.S. 36 (1873). 2. As a white man, born on the land of Florida, I am not restricted by the 14th Amendment, and because I receive no protection from it, I have no reciprocal obligation to a 14th Amendment allegiance or sovereignty and owe no obedience to anyone under the 14th Amendment. United States v. Wong Kim Ark, 169 U.S. 649 (1898). 3. I am a free Citizen of the aforesaid state of my birth and derivative and mediate thereof I am also a Citizen of the united states of America as contemplated in the Constitutional Contract of 1787. 4. I am not a citizen of the United States as contemplated by the 14th Amendment, and I do not reside in any state with the intention of receiving from the Federal government or any other party a protection against the legislative power of that state pursuant to the authority of the 14th Amendment. 5. I am, therefore, “nonresident” to the residency and “alien” to the citizenship of the 14th Amendment. 6. As the tax imposed in 26 U.S.C.1, pursuant to 26 C.F.R. 1.1-1, is on citizens and residents as contemplated by the 14th Amendment, it is not an applicable Internal Revenue Law to me, as I am neither such a citizen or resident. Notwithstanding the fact that I may have in past years filed U.S. Individual Income Tax Returns, such filings were done under mistake by me not knowing that such filings were and are mandated only on citizens and residents of the United States as contemplated by the 14th Amendment. 7. Furthermore, I am not a resident of any state under the 14th Amendment and hereby publicly disavow any contract, form, agreement, application, certificate, license, permit or other document that I or any other person may have signed expressly or by acquiescence that would grant me any privileges and thereby ascribe to me rights and duties under a substantive system of law other than that of the Constitutional Contract of 1787 for the united states of America and of the constitutions for the several states of the Union, exclusive of the 14th Amendment. 8. I reiterate that I have made the above determinations and this declaration under no duress, coercion, promise of reward or gain, or undue influence and of my own free will, with no mental reservation and with no intent to evade any legal duty under the laws of the United States or any of the several states. 9. I sincerely invite any person who has reason to know or believe that I am in error in my determinations and conclusions above to so inform me and to state the reason(s) they believe I am in error in writing at the location of my abode shown below. (Name) – sui juris, with express reservation of all my rights in law, equity and all other natures of law. Signed before me this ?th day of (month) 2013, by (Name), personally known to me and who did take an oath. I was born of parents of Black-African ancestry. Prior to the ratification of the 14th Amendment to the U.S. Constitution, individuals of my heritage were held by the U.S. Supreme Court to be incapable of being or becoming Citizen-Sovereigns of the United States. The 14 th Amendment conferred upon individuals, such as me, the status of national citizen-subject and state citizen-resident. I maintain that Brown v. Board of Education, 347 U.S. 483 (1954), in which the U.S. Supreme Court held that state laws that established separate public schools for black and white students were unconstitutional, by implication mandates that separate citizenship for white and black individuals is equally unconstitutional. I, therefore, declare that I am a national Citizen-Sovereign and state Citizen-Inhabitant, equal in every respect to the same national and state status as white individuals. I Declare the above to be true and correct under the penalties of perjury, 28 U.S.C. § 1746. Done this __th Day of ____________ 2013 at [city, state]. There is a legal maxim dating back to Rome, still standing today, that proves the truth of the points raised in my personal affidavit and in those that other Americans, of whatever background, race or heritage, may choose to file in their county records: “silence deems consent. I am a little concerned of some one following this that they could and would go to prison. It’s not right since no income tax law was passed by the supreme court. I would hate to see those I know go to prison by standing up for this. Are there lawyers that would help people if this form alone did not do it? Interesting. Do you know of any Title 42 lawyers? 1. Rebut all prima facie evidence to of de facto statutory jurisdiction by Affidavits of Truth. After revocations, then establish prima facie evidence of sui juris non-resident alien. The passport would be a border crossing ID and general ID for day to day use. The Federal Rules of Civil Procedure were amended in 1966 to unify the civil and admiralty procedure, and added the Supplemental Rules for Certain Admiralty and Maritime Claims (now Supplemental Rules for Admiralty or Maritime Claims and Asset Forfeiture Actions). There is a separation of powers. Judicial courts cannot enforce statutes. Only legislative courts enforce statutes. “Courts enforcing statutes do not act judicially” Thompson v. Smith, 154 SE 579; FRC v. GE, 281 US 464; Keller v. PE, 261 US 428. NRS 104.1308 Performance or acceptance under reservation of rights. 1. A party that with explicit reservation of rights performs or promises performance or assents to performance in a manner demanded or offered by the other party does not thereby prejudice the rights reserved. Such words as “without prejudice,” “under protest,” or the like are sufficient. 2. Subsection 1 does not apply to an accord and satisfaction. By definition, a reservation of rights can only reserve a right that exists. The making of a reservation of rights does not create a right when none existed before. Consequently, a reservation of rights or performance under protest has no effect when the person making the reservation has no rights to reserve. NRS 104.1307 Prima facie evidence by third-party documents. A document in due form purporting to be a bill of lading, policy or certificate of insurance, official weigher’s or inspector’s certificate, consular invoice, or any other document authorized or required by the contract to be issued by a third party is prima facie evidence of its own authenticity and genuineness and of the facts stated in the document by the third party. However when one understands the existence of dual jurisdictions (constitutional and statutory), the jurisdiction for the U.S. Tax Court and the IRS is ONLY that of the District of Columbia. The U.S. Tax Court has no jurisdiction over the 50 states of the Union, because it is a territorial or tribunal court as expressed by the U.S. Supreme Court in Balzac v. Porto Rico 258 US 298 (1922). your presence in a federal area. You can exercise an entire legal proceeding administratively, by Affidavit, without ever entering a courtroom. by the 6th Amendment, contains no licensing requirements. an attorney and a member of the State Bar Association. government (e.g., social security, driver’s license). “crazy” to hire an attorney. There are no TRUE Title 42 Lawyers, and if there were they couldn’t lie straight in bed. There is something much better than any lawyer, there are actually Federal-Postal-Judges who utilise Title 42: 1986 as their basic beginnings before proceeding to the many other Titles which become relevant as the proceedings move forward. Never utilise these Judges unless you are totally prepared to take what they say to you, ok? These guys are Deadlier than a rattlesnake, Friendlier than a rattlesnake, but their bite is eternal! But the misapplied witholdings are done by deceit, via Subtitle C (Employment Tax, the implementation of Social Security). Anyhow, knowing the truth does NOT mean those in power will go by the written law, so be very careful!! Evidently no one in power will do or vote on things that would reduce or limit their power, as the cushy gov jobs beat working in the private sector, you indentured-citizen-serf. Yeah, I love this stuff, too; note recent & current gov has made long lists of conservatives and patriots (and “paytriots”) and Christians and all sorts of pro-American folks–to be considered by “law enforcement,” as if potential terrorists. Cowardly politicians (and their corporate & one-world globalist owners) were so frightened by the NRA & gun-owners build-up, they militarized the police and put them in the middle. A couple federal examples: the NSA is military, and was never to be sent after citizens. The CIA is outside the 3 federal Branches, also never to be sent after the citizens. See the lobbyists’ bribes, per vote of Congress, on the database, at Maplight.org. Great Job! Praise The King of Kings, He Is The Sovereign over His entire creation! I’ve come into contact with your Affidavit, and have wondered about how I can write mine as I was birthed to white American parents but was birthed in Australia. I was not deemed an Aussie Citizen and had to be ‘Naturalized’ in order for my parents to bring me into America. Will your Affidavit work for someone who has not been birthed in America? P.S. A group of 25 Barron’s or 25 white elder husbands are forming a Grand Jury according to the Magna Carta Article 61 in Montana State. Praise Yah’Shua /Jesus Our King and Savior, HalleluiYah! Gary Hale needs to get educated before making statements like the one he made. I have a question, Is there a process to amend an existing passport to reflect being a National? Or would I have to reapply? I like to become a sovereign. To start with me and to continiu with my family. to becoming a sober what is the first thing that I should do. Next for my family what should I do. I was looking for a information here. example. I was born in central America became a citizen here. my child were born here but never live here. thought they do have that socio security # and so on. Soon a niece is coming and she will receive a socio security and so on. Plus a have a nephew just arrive about a year ago. also. I am writing as my mother will ask. I am alba my mother is Ernestina. Thank you. this is not a comment is a question. all is well. Join the Sovereign to Serf Newsletter. Dr. Livingston, retired Emory professor over 30 years. One of the co-founders of the League of the South speaking at a League meeting with history and background on the 14th Amendment, it’s passage and the historical aftermath. 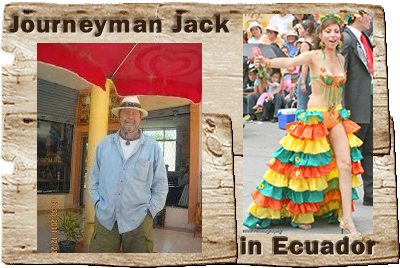 Come see us in Ecuador with a Southern Hospitality Guide to Relocation.